It Works For Me. Emma Davies Shares Her Personal Writing Rules. 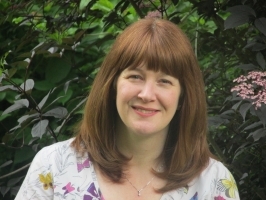 This week I am delighted to welcome back Emma Davies to my blog. Emma has been here a couple of times before, most recently to discuss being an indie-author. 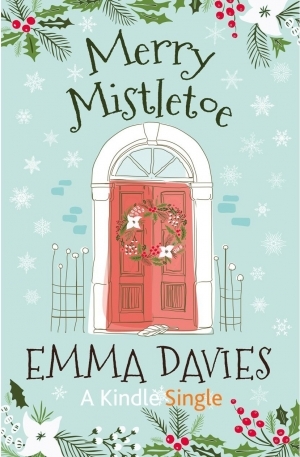 Things have moved on since then and Emma now has an agent and a publishing contract. 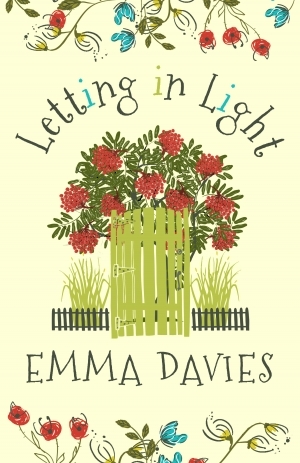 She currently has various projects on the go, but for me the most exciting news is that her indie-book, the wonderful Letting In Light, is going to be re-launched in June. It has also been announced as a contender for this year's Joan Hessayon Award. Congratulations, Emma! Emma is here today to add her voice to those of all the writers who have generously shared their personal writing tips. Emma, welcome back and thanks for being here. I’ve read with interest the writing rules posts on Susanna’s blog and so was delighted when she asked me to contribute (thank you Susannah!). I’ve picked up some great tips in the past, but I also enjoy that little fly on the wall moment, taking a sneaky peek into the lives of other authors and seeing what works for them, and what doesn’t. After all we’re all different aren’t we? But what unites us all, is that however we write, it’s because we’ve found something that works for us, there is no right or wrong way to go about things. So, here are a few of my ‘rules’; things that are important to me. Some I’m very strict about, and others are simply things I try to bear in mind. I’m very fortunate now to be writing full time, but even so, this is a rule that is just as important to me now as it ever was. Picture the scenario; you’ve been at work all day, there’s housework to be done, the tea to be made, children to be ferried about, you’re tired, you have a headache. All of the above maybe? The lovely thing is that on Tuesday however, everyone will be out for three hours; you’ll have three whole interrupted hours of writing… what bliss, you can wait until then, after all you’ll get so much done…. Er, no. Because you and I both know that life is not like that. By the time Tuesday comes, your three hours will be taken up with an emergency visit to the vets, or a phone call that necessitates an hour of your time. One of the children will be poorly. That evening out your husband was having, just got cancelled…. Grab every opportunity you can to write, whenever you can, even if it’s not ideal, even if you’re not in the mood. Quite simply the perfect time to write so rarely presents itself, and it’s certainly not the way books get written. So how many times have you stared longingly at the perfect writing spaces on Pinterest; office spaces that you would give your eye teeth for, or a beautifully decorated shed / treehouse / garden room? Because I don’t know about you, but I’m sure I’d get loads more done if only I had a space like that, instead of perched on the edge of the settee (like I am now! )… Er, no, you wouldn’t. Neither would you get more done if only you had the latest state of the art laptop / PC / software. In fact all you really need to write is some paper and a pen or pencil. It’s the words you get down that count, not the way you write them, so don’t put off starting to write because you haven’t got the right kit, or the right space. I have a teeny little writing space under the stairs, which is lovely in the summer, but right in the middle of a howling draft in winter, and so I still write, perched on the kitchen table, or on my lap, or on the PC in the lounge with the TV on (if no-one else is using it). And on those days when I just can’t find a quiet space…. I go and sit in the car if I have to! This is easy – Do the hoovering, or write?.... Don’t be silly! 4. Decide on your word count and stick to it. This is something that has been become increasingly important to me now that I have deadlines to stick to, but even before then it was a rule that I made sure I didn’t break. Be realistic about what you can achieve, but don’t rest on your laurels either. I write 2000 words a day, that is at least 2000 words a day. If I want to carry on beyond this total then it’s a bonus, and in reverse, some days it feels like I’m never going to get there, but get there I do. Once my words are in the bag I feel a wonderful sense of achievement, but freedom also to move onto something else of my choosing, be it editing, reading, marketing, social media or even weeding the garden if I choose. I know that my targets will be met and that whatever else happens I’ve still moved further towards my goal. It’s very easy to feel despondent about your writing, but sticking to your word count is an easy way to give yourself that all important pat on the back each day. 5. Know your 'use it all the time' words. Everybody has these, and it often takes somebody else to point them out to you – usually your editor! My word is ‘just’ - ‘I just wouldn’t want it to be any other way.’ - ‘I just can’t stop thinking about you.’ - ‘I just wanted to ask you something.’ - ‘I just can’t help myself!’ They’re unnecessary words; really is another good one, and editors hate them. Get to know your use it all the time words and try to write without them, you’ll save yourself a lot of time when you come to edit your work. I once did a search on something I had written and the word ‘just’ appeared over 450 times. On occasion it was justified (forgive the pun) but most of the time it wasn’t needed at all. 6. You write just as well on bad days as you do on good days. We all have days when the words just flow onto the page, when we love what we write, and it seems (almost) effortless. And then there are the days when every syllable has to be dragged kicking and screaming from your brain, and you feel like you’re getting nowhere. One thing I have come to learn however is that if you put your work away for a few weeks and go back to it, you won’t be able to tell which was which. Some of the ‘good’ stuff will be rubbish and vice versa. So, don’t give up, don’t worry about it, just get it down. 7. Be open to advice, but trust your instincts too. This is something which has really started to have more meaning for me over the last year or so, and if you’re lucky enough to have secured an agent and / or a publisher you may well feel this resonates you with you too. I’ve learnt an incredible amount over the last few months, both about my own writing, but also about the process of creating a finished book, and the stages that a publisher has to take it through. You will have one, possibly two camps of people who believe strongly in your work and want to make it the best it can be. There will be lots of advice, and most of it will be good, but always remember that your work is still your work, and as the author you have the right to disagree. Be sensible though, don’t be precious; if initially you aren’t happy with what has been asked of you, think about the advice that’s been given and the reason behind it. The chances are you will realise it was good advice. Let it sit with you for a while, and if after all that you still disagree, don’t be afraid to say so (in a polite and reasoned manner), I promise the world won’t end. Remember that your agent / publisher initially saw something in your work that they loved, and you are the writer. Have confidence in your work and be true to yourself. If you don’t you might regret it later on. 8. The grass is always greener. Of course it is, we wouldn’t be human otherwise. It’s in our nature to look at others, and perceive what they have to be better than what we have. A nicer house, a flashy car, a holiday every year, a better publishing deal, a higher chart ranking, and it’s the same for everyone, no matter what their level of ‘success’. The word perceive is important here, as no-one really knows what another’s life is like, we only look at the elements that we think we want, the bits that show on the outside. Try not to compare yourself to others; writing is hard enough without unwittingly allowing anyone else to make you feel inferior, because if you think about that’s all you are doing. By all means have goals and aspirations, but make them your own; chase your own dreams not someone else’s. Whatever you do in life, if it feels special to you, then it is. A very interesting post, Emma and Sue. You have given so much good advice, Emma, and the points about not procrastinating resonate with me! My 'use it all the time' word is 'really'. Congratulations on your shortlisting for the Joan Hessayon Award and good luck. I agree, Wendy - this is such a good post. One of the joys of writing is that it is completely portable. I like writing outdoors on a fine day. This was such a great post I couldn't decide where to start with my comments. There are so many things I agree with but the one that resonates is that you don't need special tools or a posh office/writing room. My novel (and all my short stories) have been written from the edge of my settee... Just like Emma! Aha - so you too have a favourite word, Jen! I'm sure we all must, though I wonder whether everyone knows what theirs is. Thanks for your comments. I'm glad you enjoyed Emma's post. Thanks for your question, Louise - and also thanks to Emma for expanding on what she said in her post. I hope you have a clearer idea of the process now, Louise. Thanks for dropping by. It's always good to hear from you. This post really resonated with me, Emma (note 'really' is one of 'use it all the time words)! Your tips are useful for all writers, new and more experienced. Thank you for giving me that 'fly on the wall' moment into your writing life...or should that be cupboard under the stairs?! Congratulations on the agent, contract and being short-listed for the Joan Hessayon award too! I like your "rule" about the grass is always greener, Emma, because it applies to everything in life. It is all too easy to pick out the best bits when we look at other people's lives. I'm interested in what you say about trusting your instincts - I can understand in principle that you have to be true to your vision for your book, but in practice, if your publisher has other ideas, don't you have to go along with what they want? Great blog - really interesting. Thanks.